Bamboo Fibre Lanyards, Manufactured From Recycled Bamboo Stems! Bamboo is an incredibly durable and long lasting, eco-friendly material to use. In fact, the tension strength of bamboo is greater than the tension strength of steel. It also has natural anti- fungus and anti-bacterial qualities, which means there is no need for bacteria fighting chemicals during production. Bamboo material is long lasting, and soft to the touch. You won’t have to worry about constantly replacing worn out employee lanyards, and they won’t irritate the skin around your neck. A lot of companies provide lanyards to their employees for keys, ID cards, badges, security cards, and more. Although bamboo lanyards are frequently used by all types of different businesses, they’re ideal for companies that sell eco-friendly products or services. 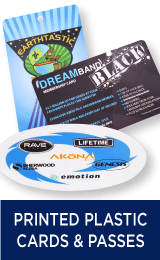 They can also be handed out as free promotional gifts to clients, or even as small party favours. For example: If you’re throwing a baby shower, you can have the babies due date printed on the lanyards and hand them out to guests. The same thing can be done for bridal showers. 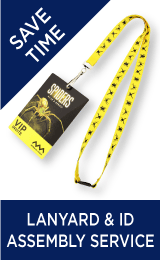 We can customize each lanyard in your order with a company/business name, brand, logo, event name, phone number, website, (etc.). We use pantone colouring on our bamboo lanyards, which creates vibrant, eye-catching colours that won’t fade. There are multiple colours available for you to choose from so you can create the colour scheme that best suits your brand. Although you can get these lanyards dyed, undyed material is always better for the environment. So if you want your lanyards to be as eco-friendly as possible, you may want to choose the undyed option. 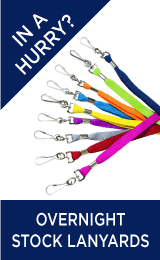 The length and width of most of our lanyards can be customized as well. So if you would like to have the length and width altered, you can talk to one of our customer service representatives. 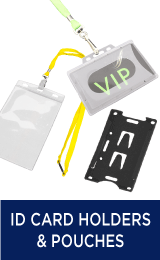 In addition to text, logo, and colour customization, you can also customize the type of fitting that is attached to your lanyards as well. Some of the more traditional fittings that we carry include the trigger clip, the crocodile clip, and the split keyring. We also carry fittings that come with a small additional feature, like the camera/phone holder fitting, the adjustable bead, the whistle fitting, or the safety clips. 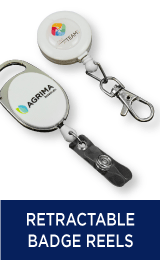 So whether you need your employees to carry their company keys on the bamboo lanyards, or security ID’s, we have something that will be perfect for your business needs. If you have certain employees that work in high risk aspects of your business, you can even have safety clips put on them as an additional feature. The whistle attachment is great for sports teams, school gym teachers or coaches, security guards, boot camps, and even camping trips. If your employees often have to take pictures or use their phones for business purposes, the camera/phone holder attachment is a great accessory to add to your order. The camera/phone holder attachment is also great to give to tour groups, and photography groups (or classes). We pride ourselves on providing our customers with outstanding services, quality made products, and cost efficient prices. That’s why our products come with a price beat guarantee. If you happen to find these bamboo lanyards at a cheaper price anywhere else, we will lower our prices to beat the price of our competitors. Our highly trained team of designers will provide a virtual sample for you to look over before your order is shipped out. You can also choose to have your bamboo lanyards rush delivered to you, but conditions may apply.